Thanks to popular TED talks and new research in brain science, we’re finally moving away from divisive parenting labels like “tiger,” “helicopter,” “permissive” and “snowplow” into deeper discussions around the best ways children thrive — and how we as parents can best guide them. It’s refreshing and empowering new material, especially for those of us plagued by the kinds of endless second-guessing questions crowding up inside our increasingly scattered brains: How can you inspire kids to discover their passions without signing them up for a zillion after-school activities? Get them to complete their chores and stop the whining? Do their best work without a firm nudge? Here, four newly released titles offer some thought-provoking answers. Specifically addressing the issue of parents who feel under pressure to “fast track” their kids, and “raise the bar” on what they can achieve at school, this father of seven and professor of psychiatry and special education at Vanderbuilt University argues that this artificial acceleration not only derails kids but also sets them up for a whole host of undesirable behavioral and psychological issues. The solution? 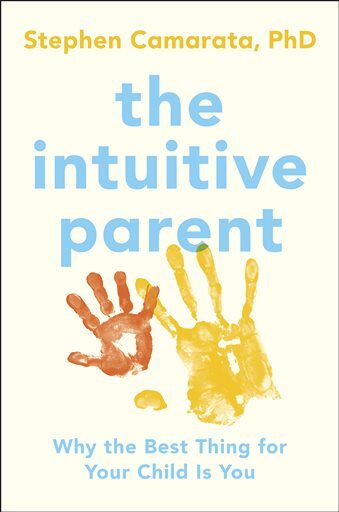 “Intuitive” parenting, which essentially boils down to this, according to Dr. Camarata: Put away the flash cards, learning apps and achievement-or-bust mentality, and simply shift your attention to your child’s specific interests and natural curiosity. Create opportunities for them to discover, ask questions, express themselves, and problem-solve on their own. Set yourself up as more of a learning partner than a taskmaster, and you’ll be less likely to fall into the trap of pushing your kids to do things merely because “everyone else is doing it.” Like many parenting experts in his field, Camarata embraces the experience of failure as a means of developing strong problem-solving skills — a perquisite for confidence building, resilience and persistence — not test scores. For this reason, Camarata is not a fan of traditional institutions that force teachers to teach to the test instead of fostering real knowledge, and he even goes as far to suggest that high rates of learning disabilities and ADHD in the U.S. may have more to do with dysfunctions within our educational systems than flaws with the student body. Through dozens of examples and strategies backed by real science, Camarata details how through parents can create learning opportunities to positively re-wire stressed-out little brains, not to mention put the joy and fun back into parenting. Dr. Kang, who is the medical director for Child and Youth Mental Health for Vancouver and associate professor at the University of British Columbia, claims that over-parenting, disconnection from community, and a lack of free time is sapping the internal drives of our children. 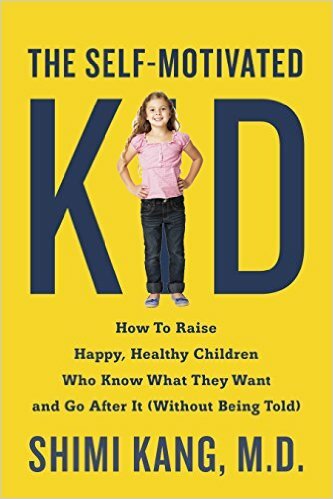 Originally released in hardcover last year as The Dolphin Way, The Self-Motivated Kid offers a powerful metaphorical antidote to “tiger” parenting, one that is authoritative (not authoritarian) warm, responsive, and good at enforcing limits and encouraging independence. Instilling motivation is a dominant theme throughout the book, and this is where Kang’s insights really shine. How do you shift a whiny, entitled mindset into one that is primed for responsibility and action? Importance and confidence are strong motivators, and to foster these traits, parents need to explain why a task is important, both short-term and long-term, and also understand a child’s confidence level. Some of the examples Kang offers are is simple no-brainers (“practice your math to get better at math,”) whereas more complex issues (the high schooler who doesn’t see the point of good grades) takes more of a multi-pronged approach. Overall, Kang offers detailed, thoughtful advice, and her approach of putting the responsibility on children to set their own goals and expectations is an empowering proposition indeed. Parenting expert and “recovering yeller,” Amy McCready believes that entitlement has hit epidemic levels in our society, and it’s not limited to rich kids. “The Great Give-In” as McCready refers to can be summed up in all the little things we as parents give into every day, without realizing the long-term consequences: not saying no to treats at the grocery store, giving into 15 minutes extra of screen time, cleaning up after them, even after we’ve asked them to do it three times already … McCready gets it. We’re busy, and we’re stressed, and when we’re stressed, we cave. Unfortunately for us and for them, kids learn all kinds of unhelpful lessons through these patterns, mainly: Rules can be broken, and it’s perfectly acceptable to use bad behavior to accomplish a goal. How do you undo the pattern? 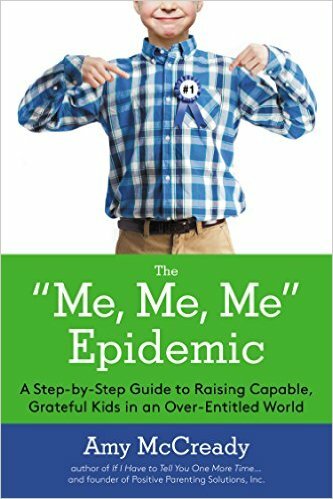 McCready offers an “Un-Entitler Toolbox,” with tips on how to stay firm and hold your ground, as well as the “Convince Me” tool, which allows kids to do more of the work and make a solid case for that sleepover/smartphone/name brand whatever that they’ve been whining for. Perhaps the most ingenious tool, though, is the concept of MBST or “Mind, Body & Soul Time” as a way of preventing entitled behavior in the first place. The idea is this: Each parent spends 10 minutes with each child, one-on-one, every day, no distractions. 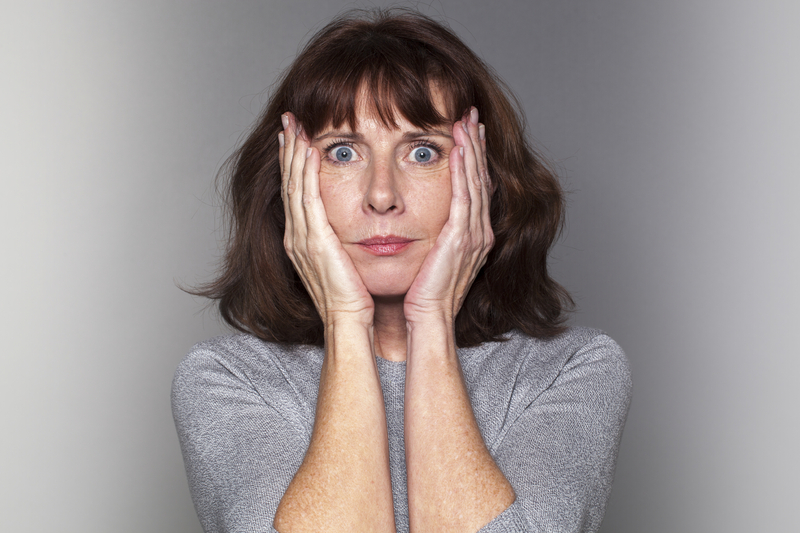 McCready argues that children are at their worst when their reserves are depleted, and when they beg, cajole and whine for ridiculous requests, the real reason they are doing this is because they want you. Give them this, daily, and watch the whining disappear. Author’s note: I tried it, and amazingly, it works. At the heart of Raising Can-Do Kids is the idea that entrepreneurship — risk-taking, forward thinking, and collaboration — can be incorporated into everyday parenting as a means towards raising well-adjusted, successful kids. 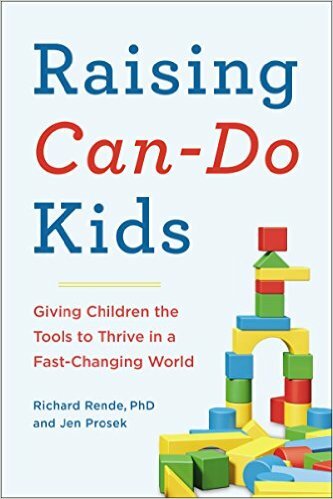 Rende, a developmental psychologist and Prosek, an independent PR guru and entrepreneur, are in line with the much of the same strategies as the authors above (tiger-style parenting and entitlement issues are out; getting children involved in chores and reframing the idea of failure as a means toward success are in), and they also go a step deeper, detailing how resilient entrepreneurs and kids who understand the intrinsic value of hard work — including mundane, every day tasks — are uniquely qualified for the jobs of tomorrow, and they aren’t limited to entrepreneurial careers, but all careers. As the authors explain, career success in years to come won’t be defined by so much as one’s academic credentials (what you have) but instead what you can do. Therefore, instilling an entrepreneurial mindset — optimism, risk-taking, industriousness, likeability, and serving others are the goals here, and as Rende and Prosek point out, these are the kind of traits that will not only set kids up for future career advancement, but personal happiness as well.